The Canterbury Business Awards are open and looking for entries from businesses registered in Canterbury, Whitstable, Herne Bay, Margate, Ramsgate or Broadstairs areas. The awards are supported by the Federation of Small Businesses (FSB) and the Kent Branch of the Institute of Directors (IoD) and delivered by Best Business Events. Platinum sponsors for the third year running are Agilis Mobile, with gold headline sponsors Girlings and Canterbury based community focused accountants, Dynamix Accountancy and media partner, Index. Creative/Digital – Can you show evidence of expertise in digital, creative or media technologies? Customer Service – Can your business show that you offer high quality customer service? Hospitality/ Food & Drink Producer – Are you a business in this sector that can demonstrate outstanding performance and success? Innovation – have you brought new ideas to life, whether that idea is big or small? Small Business – Are you a standout small business that has achieved constant growth? Businesses may enter up to three awards which are free, quick and simple, and can be done via the website www.businessawardskent.co.uk. The closing date for completion is 8 February and then the entries will be considered by a team of judges who will shortlist them by 22 February. Those shortlisted will be announced and visited by the judges form 22 February – 1 March so they can make a decision on who the winners for each category are. The winners will then be announced at a dinner which will be held at Broome Park Hotel, Canterbury on Thursday 14 March 2019, where they will be able to collect their awards. Canterbury Business Awards 2018 are open – have you entered? The Awards are quick and easy to enter and are supported by platinum sponsors, Agilis Mobile, and community focused accountants Dynamix Accountancy and Media Partner, Index and delivered by Best Business Events. Hospitality/ Food and Drink – are you a hospitality business that can demonstrate outstanding performance and success? There was a great buzz around the Canterbury Business Awards last year – with all the businesses supporting each other on the night and some great wins. It really is a great way to promote your business to the wider community and show your employees what a great business they work for. Entering the awards is free, quick and simple, and can be done via the website www.businessawardskent.co.uk. The closing date for completion is 23 February and then the entries will be considered by a team of judges who will shortlist them. The awards night dinner will be held at The Spitfire Ground St Lawrence, Canterbury on 29 March 2018. So why not do it now? If you require any further information call 01732 758530, email info@bestbusinessevents.co.uk or visit www.businessawardskent.co.uk. http://mybiz-canterbury.co.uk/wp-content/uploads/2017/09/canterburyawards.jpg 321 830 Ben Barton http://mybiz-canterbury.co.uk/wp-content/uploads/2016/02/MyBiz-logo-1-300x64.png Ben Barton2018-02-06 21:00:312018-02-06 21:00:31Canterbury Business Awards 2018 are open – have you entered? Chamber Awards, have you downloaded your application form yet? Do you feel that your business is doing well? Are you proud of what you have achieved? With our busiest year of applications so far, why not join other companies by sharing your successes and get the recognition you deserve by entering the Kent Invicta Chamber’s 2018 Awards. Closing date for applications: Friday 26th January 2018. 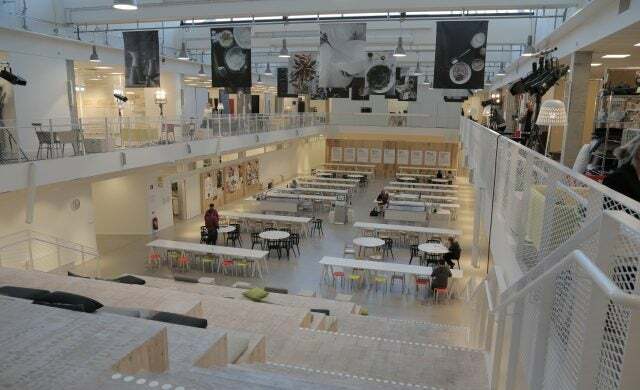 IKEA, along with entrepreneur co-operative Rainmaking, is inviting start-ups that are innovating new solutions to everyday challenges to apply for IKEA Bootcamp, its new accelerator. Open to businesses around the world, the three-month programme will see IKEA and Rainmaking collaborate with 10 start-ups to develop products or services that are affordable, accessible and have “a positive impact on the planet and society”. Based in Älmhult, Sweden, the programme will offer participating start-ups co-working space in the IKEA Range & Supply Democratic Design centre, including access to the prototype shop, test labs and in-house expertise. The selected start-ups will also benefit from a €20,000 grant, tailored mentorship from an IKEA business professional and Rainmaking’s network, and free accommodation in Sweden for the duration. The retail giant has said that it may look for opportunities to continue working with each start-up after the programme, potentially through becoming a client of the business, licensing its technology or investing in the company. Alex Farcet, partner at Rainmaking, commented: “We believe that the IKEA scale and impact merged with our network and experience from building start-ups and innovation programs will provide a great environment for the start-ups. Applications are open until 6 August, with the programme running from 18 September 2017 until 8 December 2017. To find out more, click here. Does your organisation have great customer service? Have you created an outstanding innovation? Are you a great employer or a successful entrepreneur? Whatever your business strengths, you need to shout about them to make sure YOU are chosen over your competitors. Entrepreneur – Are you known for your entrepreneurial flair? Hospitality – Can your business demonstrate outstanding performance and success? Click on the gold button below to get your Canterbury Business Awards application form, which is easy to complete and return to us. Make sure you send your completed form no later than the 24 February. Entries will be considered by an impartial team of judges including the IoD and the FSB who will shortlist three from each category. The three shortlisted will be announced on 6 March and visited by the judges. The Gala Awards Night Dinner will be held at The Spitfire Ground St Lawrence, Canterbury on 22 March. PLEASE NOTE You must be registered in the Canterbury City Council District area which includes Whitstable, Herne Bay and the surrounding areas. Entry is simple, quick and free just click here to express your interest and an application form will be sent to you within the next few days. We would be very grateful for 10 minutes of your time to complete this Herne Bay Hothouse survey. The main purpose is to find out which potential business projects our local community would like to see in Herne Bay. These two potential projects are a Business Hothouse and a combined office and digital fabrication space. See the details of each project below. A Business Hothouse is a place where homeworkers, start-up and existing small businesses and sole traders can rent office space on a flexible, short-term basis – by the week, by the day, even by the hour. It is equipped with high quality computing equipment, a fast and reliable internet service and consists of open spaces (to encourage networking and collaboration), offices and meeting rooms. It is attractively designed and furnished and may even include a café. A Herne Bay Hothouse would ideally be located in the centre of the town, possibly on the sea front. This is a bespoke workspace built to provide open or member access to digital fabrication tools. This space can host small events or education workshops relating to the application of digital technologies, supporting learning and development of both companies and individuals. Users of the facility can learn about practices such as laser cutting, 3D scanning & printing, sustainable design, CAD and rapid prototyping. The space can also offer residential workspaces for hardware start-ups or facilities to help product development teams create prototypes. A wide range of machines and tools will be located in the workspace such as sewing/milling machines, 3D scanners, CNC machines, laser cutters, drills, hammers and much more. If our local community is generally supportive of the idea of a Herne Bay Hothouse and/or a digital fabrication space, we will work to secure funding for the project/s to go ahead. These projects would be self-supporting facilities intended to provide long-term support for local business. Please send in your thoughts by email to either info@growmybiz-canterbury.com or info@startmybiz-canterbury.com. An annual event, the Kent Creative Awards 2016 celebrate the best in arts and culture in Kent and those who help maintain and develop the creative sector in our county. The first ceremony took place during a dinner on Wednesday 18th May 2016 at the Alexander Centre in Faversham. The event rewarded contributions to the cultural world of Kent from individuals and organisations that embrace creativity, the basis of new ideas. They highlighted the variety of creative works, projects and events created across the county. EXCITING NEWS: In the run up to the Kent UNconference, we’re giving 2 lucky entrepreneurs the opportunity to talk about their business on Business Bunker radio! All you have to do to enter is logon to your Twitter account and complete the tweet “The biggest biz challenge I’ve ever beaten is…” using the hashtag #Pitch2Win. The 2 entrepreneurs who get the most Retweets this week will be the winners and will invited to pre-record a short segment for the radio show talking about their biggest business challenge and how they overcame it. The winners will also be awarded a 10-15 minute speaker slot at the Kent UNconference on 19th November. You must also be available to record your radio talk on Friday 6th November from 3-7pm. • Read our next 2 blogs on tips about talking on the radio and speaking at conferences! As you can see it’s super simple to enter our Twitter competition, just hop on Twitter now and sent us a tweet #Pitch2Win! The winner will be announced on Twitter on 2nd November and you will then be invited to come a record your talk for Business Bunker radio! Good Luck! #Pitch2Win and Appear on Business Bunker Radio! We’re delighted to announce that Canterbury City Council’s StartMyBiz and GrowMyBiz projects have teamed up with Business Bunker Radio to give 2 lucky business owners the opportunity to appear on the show, share the story of their entrepreneurial journey and gain visibility for their business. As most of you will know from our recent Press Release, in honour of Gobal Entrepreneurship Week’s theme “Make it Happen” (16th-22nd November) we have partnered with RIFT Accounting, Business Bunker and Advantage Business Partnerships to create a new and more exciting business event format, the Kent UNconference. As an attendee, on the day of the UNconference, you get to pitch for the opportunity to talk about your journey as an entrepreneur and share how you have overcome some of your biggest business challenges. Everyone then votes on their favourite pitches to set the agenda for the day with the delegates themselves as the speakers. As if the UNconference itself wasn’t exciting enough, today we are launching a Twitter “#Pitch2Win UNcompetition”, giving 2 of you the chance to record a segment talking about your business, your successes and the challenges you’ve solved on the live Business Bunker Radio Show (Kent Business Radio, Tuesday’s 1-3pm). • Your tweet must outline the biggest business challenge you have faced and overcome in 140 characters or less. • You can enter as many times as you like with different mini pitch ideas. • Other Twitter users who are engaging with the #Pitch2Win and #UNconference hashtags will then “vote” for the 2 best “mini pitches” by Retweeting them. • The 2 entrepreneurs with the tweet or “mini pitch” that get the most votes from Twitter users, will be selected to record a segment for the live Business Bunker radio show. • The same 2 entrepreneurs will also automatically be given a speaker slot on the day of the UNconference. • Entrants must be 18 or over. • You can enter as many times as you like with different mini pitches outlining various challenges and solutions. • Please note that while you can send a couple of tweets asking your followers to RT your #Pitch2Win you CANNOT retweet your own #Pitch2Win yourself lots of times or ask single followers to RT your #PitchtoWin hundreds of times as this contravenes Twitter rules! The idea is that Twitter users will genuinely vote for the best idea. See the Twitter rules here. • The Twitter #Pich2Win closes at midday on 2nd November. • You must make sure that you can be available to record your talk for the radio show on Friday 6th November from 3-7pm an available to speak at the UNconference on 19th November. • The time of the recording may be subject to change depending on the schedule of the Business Bunker presenters. • In the event of a tie whereby more than 2 ideas get the same number of votes (Retweets), the judges will contact all potential winners and make a final decision on who will win the opportunity to record a segment for the radio show. • The winners will be announced on Twitter and Facebook. • The #Pitch2Win will be judged by Jane Ollis Managing Director of RIFT Accounting and Paul Andrews presenter of Business Bunker Radio and former Entrepreneur of the Year. The judges’ decision is final. This is such a great opportunity for you to engage the local community, raise awareness for your business, attract more clients, highlight the lifestyle of an entrepreneur and network with like minded people. So, what are you waiting for? Be a trailblazer and get on Twitter now and start tweeting @StartMy_Biz and @GrowMy_Biz your amazing stories so we can get you on the radio to share your experiences with your local community! http://mybiz-canterbury.co.uk/wp-content/uploads/2015/10/Unconference-header-image1.png 267 701 Ben Barton http://mybiz-canterbury.co.uk/wp-content/uploads/2016/02/MyBiz-logo-1-300x64.png Ben Barton2015-10-23 14:13:502016-03-02 21:02:30#Pitch2Win and Appear on Business Bunker Radio!